I liked posting the future menu last weekend so I will do so again this weekend. Last week mixed micelles won over the behentrimonium (which did get a decent amount of votes too!). The haven doesn't like to disappoint so we will tackle behentrimonium next week. This is your menu for next week. 1. Monday - Guide to using Ingredients : Behentrimonium part 1 of 2 Behentrimonium methosulphate and chloride, what is the difference? Is methosulphate a sulphate? 4. Thursday - Myth busting: The baking soda relaxer My mind is going to pot because I should have posted this one agessss ago. I took my own hair (shed hair, no way am I putting it on my head) and tested it - see the results for yourself!! 5. Friday is Mail Day! This time I am covering things that I have never heard of namely Argan oil (courtesy of the gorgeous Milan who asked about this months ago!!) and Camellia oil (courtesy of Yoko who tells me this oil is very popular in Japan). I personally believe porosity and shaft size is a bigger indicator than curl pattern. I’ve seen ppl with a similar curl/coil pattern as I have say “my hair can’t stand oils!” At first I was like, “How is that? You must be using too much.” .... IMO, pattern has something to do with it, but not everything. I must admit that this opinion appeals me. 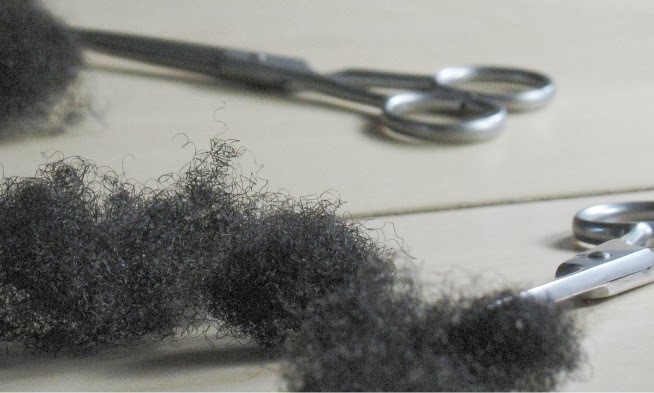 It seems more reasonable, logical and scientific that diameter of hair fiber and porosity must be guide you when you choose your hair products than the curl pattern or size of curl which are more relevantIMO for styling methods and hair cut. Thanks for your question. I am working on a post right now with Leila at BGLH about this!